JUDGMENT of a Court of Inquiry appointed by His Excellency the Governor in Council, of the Colony of the Cape of Good Hope, to investigate the circumstances attending the stranding of the British S.S. "CLAN MACGREGOR," of Glasgow, on the 30th day of May, 1902. The "Clan MacGregor" was a steam vessel of 2795 tons, registered tonnage, official number 114013, belonging to Cayzer Irvine & Co., of Glasgow. It appears the "Clan MacGregor" left Durban, Natal, South Africa, on 27th May, 1902, under the command of Edward Henry Bond, bound for New York in ballast, draught 12 ft. 5 ins. forward and 19 ft. 8 ins. aft, with a crew of 36 hands all told, and was well found and equipped, and fully manned. 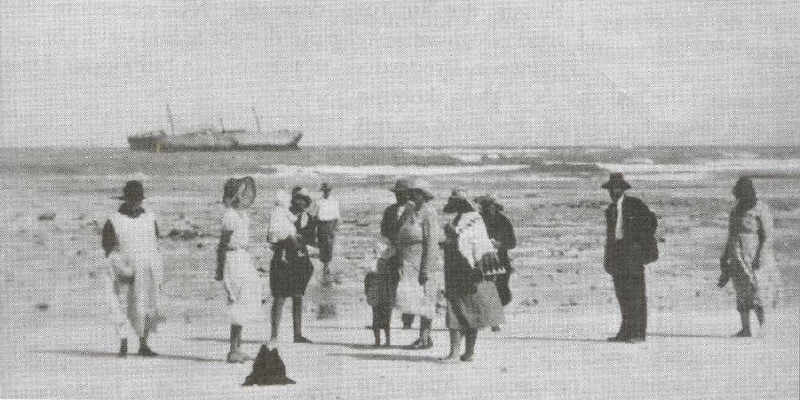 On the 30th May, 1902, at about 8.23 o'clock p.m. the "Clan MacGregor" went ashore on the east side of Atlas Reef, about three miles from Martha Point, where the vessel is now lying hard and fast, every effort to tow her off having failed. it appears from the evidence that the position of the vessel at 12 o'clock noon 29th May, 1902, was 34° 43' S and 24° 21' E., Cape Agulhas bearing S. 88 W., 218 miles. The course then steered was S. 84° W. true. This course was steered until 12.45 p.m. on 30th May, 1902, when it was altered to N. 85 W. true until 3.30 o'clock p.m., when it was again altered to N. 65 W. true, this course being kept till 8.23 o'clock p.m., when the vessel went ashore. The weather was thick with heavy rain, and strong wind from midnight 29th May, 1902, until the afternoon of 30th May, 1902, when it moderated, and land was seen at 3.30 o'clock about four points on starboard bow, and was in sight until dark. No reliable observations were obtained on 30th May, 1902, owing to the state of the weather, nor was the lead used after 5 o'clock p.m.
That the position of the vessel at 12 o'clock noon 30th May, 1902, was not correctly ascertained, but it was acted on as if absolutely correct, and the course was altered at 12.45 p.m. That the vessel was kept at full speed, being 9 1/2 to 10 knots. That the lead was not used after 5 o'clock p.m., whereas had it been used even at 8 o'clock the dangerous position of the vessel would at once have been ascertained. We are of opinion that the vessel was not navigated with proper or seamanlike care by the master after 12 o'clock noon considering the state of the weather, and in not using the lead after 5 o'clock, and that the stranding of the vessel was due to his act or default. We do, therefore, adjudge that the certificate of the master, Edward Henry Bond, be suspended for a period of three months. On May 30th, 1902, CLAN MACGREGOR, on her maiden voyage from Durban to New York in ballast, was wrecked at Martha Point, Skipskop (near Ryspunt).